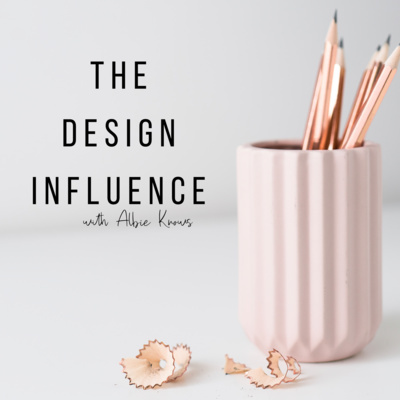 The Design Influence with Albie Knows is a show dedicated to changing the conversation and creating impact, on and offline. LuAnn Nigara is the co-owner of Window Works in Livingston, NJ, the author of The Making of A Well-Designed Business™ and the engaging host of the 5-star rated podcast A Well-Designed Business™. The podcast, A Well-Designed Business™ is the definitive resource for interior design professionals interested in operating a profitable and productive business. Known for asking questions that get to the heart of the subject, her show is down to earth and actionable. 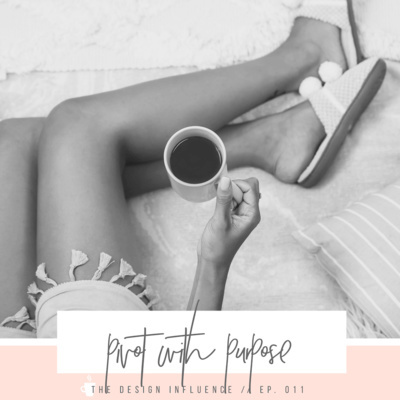 In our conversation we talk about how hard it is to run a systemized, profitable business, noting that it is not something done lightly but with commitment and intention, the rewards are far more reaching than financial. 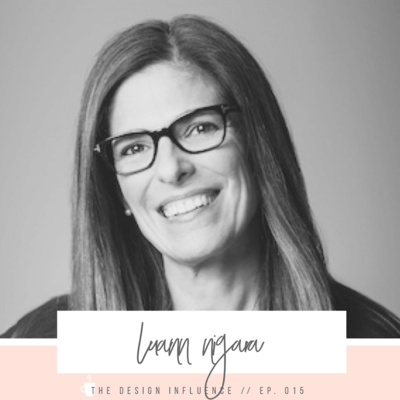 — “Decide to be excellent because make no mistake about it, excellence is a decision” — LUANN NIGARA, THE MAKING OF A WELL-DESIGNED BUSINESS™ This episode is jam packed with gems but some of the biggest takeaways are: • Some are attempted and some are accomplished…and that’s okay. • The basic formula to success is having confidence, understanding the obstacles, and implementing a plan & strategy. • In the beginning, you need to be vigilante about assigning yourself manageable and accountable tasks. — FIND LUANN ONLINE: Website | Instagram | Facebook | Facebook Group READ LUANN’S BOOKS: The Making of A Well-Designed Business™ The Things I Learned From A Well-Designed Business™, The Power Talk Friday Experts — THIS EPISODE IS MADE POSSIBLE BY THE INFLUENCE DIRECTORY. The Influence Directory is an index of courses designed to help you maximize your expertise and influence. 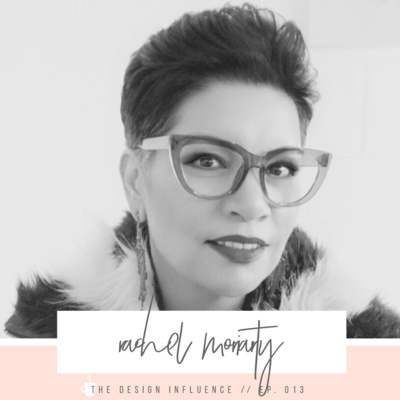 From software to strategy, tools to tactics, I have pooled my knowledge and resources to help you learn, connect, and thrive on your designpreneur journey. With an unwavering faith & charming southern style, designer Cheryl Luckett has built a brand that is hard to miss & even harder not to love. Southern Home describes Cheryl’s style as “opulence in reach” and I couldn’t have said it better myself. In 2012, she launched Dwell by Cheryl Interiors on a mission to transform her clients’ houses into homes that are not only pleasing to the eye but that provide a sense of well-being both inside and out. For more than 15 years Cheryl worked at a Fortune 500 company in Charlotte, North Carolina as a Registered Dietitian and later a human resources professional in diversity and inclusion. After much prayer and consideration, she realized that design wasn’t just her passion, it was her purpose and decided to take on interior design full-time.Cheryl has been able to parlay her passions into a design brand — a brand with accolades that include being named one of the 15 Best Designers in Charlotte by Build Direct™, serving as Brand Ambassador for NC based Revolution Performance Fabrics, be one of the featured designers participating in Southern Home Magazine’s Julian Price Home Showhouse (Greensboro, NC), and launching the Belle by Cheryl Collection for Sylvester Alexander. 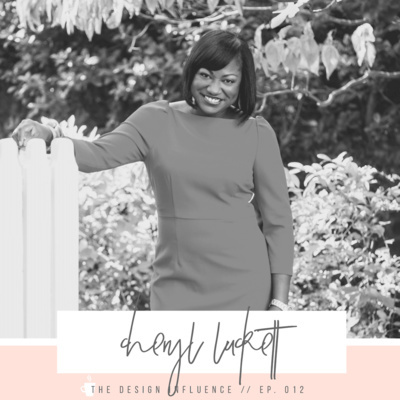 — Find Cheryl Online Website & Blog: Dwell by Cheryl Instagram: @dwellbychery New Collection: Belle by Cheryl Luckett — This episode is made possible by The Influence Directory — an index of courses designed to help you maximize your expertise and influence. 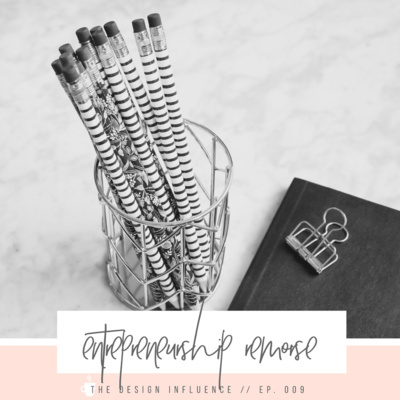 From software to strategy, tools to tactics, I have pooled my knowledge and resources to help you learn, connect, and thrive on your designpreneur journey. As children we’re asked what we want to be when we grow up. I think this is actually still a thing, where adults, unwittingly, tell kids figure out your life early and figure it out fast. While I do believe it’s never too early to start planting the seeds of the future, I know that what I wanted to be at 5 isn’t what I wanted to be at 7… at 14… at 19… or at 25. And now that I’m in my 30s, what I am and what I want to be is none of those previous things. A lot of us pivot for a myriad of other reasons. The power in pivoting is finding the purpose in it…controlling your pivots instead of being controlled by them. 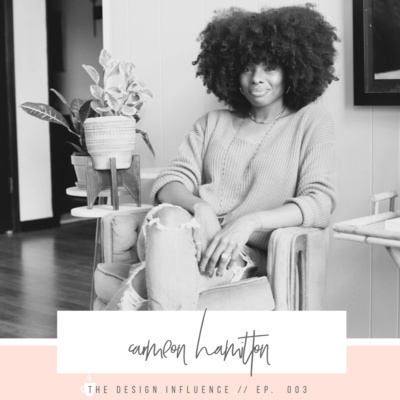 So in this episode, we’re going to be talking about the shifts that you may be experiencing, avoiding, or even regretting as you navigate your designpreneur journey, and how you can do so with passion and purpose. — TODAY’S EPISODE IS BROUGHT TO YOU BY GATHER. 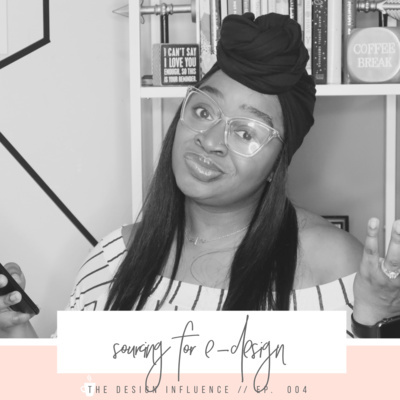 As an online interior designer (exclusively) and also a content creator, I realized after undergoing my own journey of exploration, that many of the challenges fellow online designpreneurs were facing weren’t being specifically addressed, and so The E-Design Experience was born. But what is e-design? How do you do it? What does it look like? Who is it for? So in today’s episode, I want to talk all about the business of e-design with you, hopefully answering some of those questions for you. 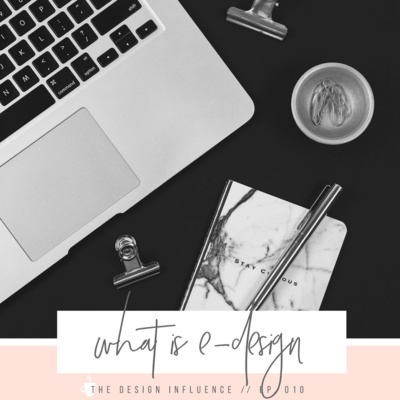 What is E-Design? 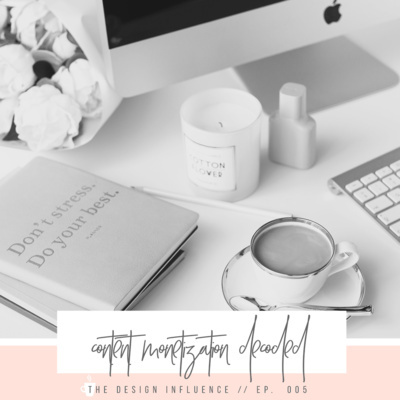 Exactly as the name implies, e-design aka online interior design is an interior design process that takes place remotely and/or virtually — completely in the digital space — allowing designers and clients to connect beyond the constraints of location. How Do You Do It? Spoiler alert: there is no one way to do it. E-design can be done in a multitude of ways but at it’s core there are some fundamentals of e-design that can be agreed upon. What Does E-Design Look Like? What matters is that you’re delivering exactly what you committed to, as a designer, and exactly what your people our needed & wanting from you. Who Is It For? If you’re looking for a passive design service, e-design isn’t for you. If technology isn’t for you, than neither is e-design. If you cannot find a way to deliver exceptional service in a more truncated format, e-design isn’t for you either. — E-design isn’t a substitute for traditional interior design services; it’s an alternative. While there is a school of thought that e-design has “disrupted” the interior design industry, I say it has enhanced it. While it may not for everyone nor is there any one way to do it, it is undeniable that e-design is an exciting new landscape for our industry. — Did you hear? The Design Influence has a new template shop & it’s only fitting that one of our first templates is an e-design contract template! Make sure you’re always on the same page with your clients, keep projects on track, and start with a solid foundation. The e-design contract template is super easy to download & edit so that you’ll be able to outline, step by step, what your clients can expect from you & what you expect from them. Download, edit, and refine it as you see fit — this is your business after all. — TODAY’S EPISODE IS BROUGHT TO YOU BY GATHER. It’s an interesting time we live in where being an entrepreneur is more coveted than being whatever your craft is. But Gary V says it best when he says entrepreneurship is glamorized. What about all the other ugly parts of entrepreneurship that no one talks about? The daily grind for new clients? The overhead? The taxes? The late nights & early mornings? The wins & losses that are all yours, and no one else’s? The payroll? I want to talk about walking away from entrepreneurship, well, because no one else is. If you’re someone who has been on the fence about entrepreneurship — you’re unsure if it’s still something you want for your current season of business or if it’s worth it, I want you to ask yourself this five questions: Why did you pursue entrepreneurship or self-employment in the first place? What was the drive or catalyst behind wanted to create your own business? Whatever your reason for starting — is it still relevant or are you in a different season of life? What are you struggling with as an entrepreneur? What are the exact factors that have you questioning this path? What’s the worst case scenario, should you choose to no longer be an entrepreneur — what do you have to lose? What’s the best case scenario, should you choose to no longer be an entrepreneur — what do you have to gain? Entrepreneurship isn’t for everyone, not does it look the same for everyone, so no matter which lane you choose, be sure it’s the best fit for you, your way of operating, and your season of life. — TODAY’S EPISODE IS BROUGHT TO YOU BY GATHER. If you tuned in the past 2 weeks then this minisode is gonna bring you full circle because we are back with Morgan Molitor for a Q & A on #allthethings when it comes to working with brands, pitching yourself, and creating content. Week One: • Hiring a team in preparation for growth • The power in pitching brands (and not waiting for them) • What it’s really like when you’re working with & creating content for brands Week Two: • What numbers you should really be monitoring & how they reflect your influence • Why the construction2style business model is shifting from client work to more brand deals This week we’re answering: • What do I need to start doing to position myself as an authority in my industry? • How do I show a company my value if I have a low social media following and/or website engagement? • Do I need to have a one-page or media kit? Is it necessary? • If I'm from a small city or area, do you recommend I look to partner with local or national brands? • A brand turned me down for a project, so when should I reach back out to them, if at all? • How do I introduce myself to a brand I want to work with? 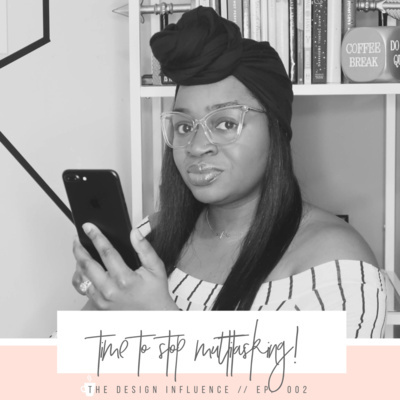 • What can I or should I do to establish myself as an influencer to brands? • In the first email, do I need to include my full pitch ideas? • When do I start to talk money when I'm pitching? — TODAY’S EPISODE IS BROUGHT TO YOU BY THE INFLUENCE DIRECTORY. If you tuned in to last week’s episode then you already know that you’re in for a treat this week, because we are back with Morgan Molitor. 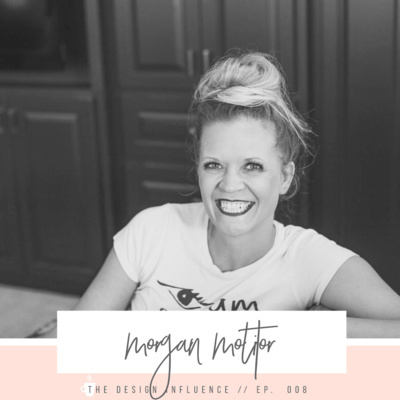 Morgan is one half and co-founder of construction2style, and while not a “certified” interior designer, thanks to digital marketing and her passion for interiors, she’s been able to build a successful interior design + contracting business alongside her husband Jamie Molitor. — LAST WEEK WE CHATTED ALL ABOUT… hiring a team in preparation for growth the power in pitching brands (and not waiting for them) what it’s really like when you’re working with & creating content for brands THIS WEEK, WE’RE CONTINUING THE CONVERSATION & DIVING RIGHT BACK IN TALKING ABOUT… creating longterm relationships with the right brands what numbers you should really be monitoring & how they reflect your influence why the construction2style business model is shifting from client work to more brand deals — Find Morgan Online • Website & Blog: Construction2Style • Instagram: @construction2style • YouTube: Construction2Style — TODAY’S EPISODE IS BROUGHT TO YOU BY GATHER. How many of you follower influencers across different industries, wondering to yourself how, you too, could work with brands & what that would mean for you as a designer? In today's episode, you're getting to get one step closer to mastering brand sponsorships and collaborations for your business. Morgan Molitor, one half and co-founder of construction2style, specializes in collaboration. Always thinking about 100 different ways to optimize any project they’re working on, she attributes half of their business to brand partnerships and sponsored content. 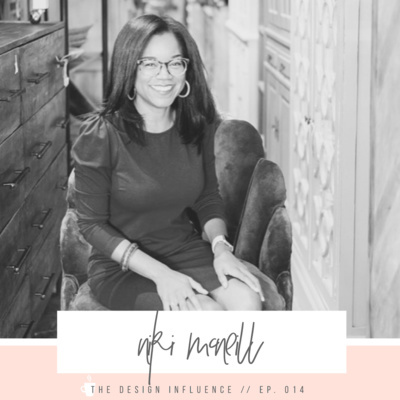 Morgan doesn’t have any type of interior design certification, but thanks to digital marketing and her passion for interiors, she’s been able to build a successful interior design + contracting business, that includes certified designers on their team. Find Morgan Online • Website & Blog: Construction2Style • Instagram: @construction2style • YouTube: Construction2Style — TODAY’S EPISODE IS BROUGHT TO YOU BY GATHER. How many different ways have you heard that you need an email list? You’re favorite podcaster has told you you need one. You have Instagram ads selling you templates to create one. You’ve read all the blog posts on the value of having one. So it’s no big secret in the power of the email list. But here’s what you may not have heard about email lists, however, is about lists for brands. 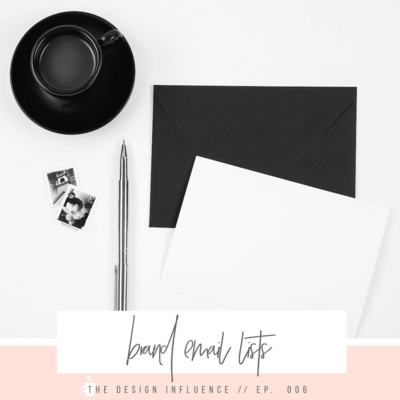 What Is a Brand Email List? Essentially you want your brand email list to serve as a place where you communicate with potential brand partners. How You Can Use A Brand List Similar to your public list — which isn’t to be confused with your client list, which could be a separate third list altogether by the way — your brand list is where you can sell yourself & your expertise to brands. — TODAY’S EPISODE IS BROUGHT TO YOU BY GATHER. Have you ever wondered how people make money online, especially influencers & content creators? We hear about so many different revenue streams, in addition to the main income maker, that it can often get hard to discern which is the best for for us holistically as designers and which is the best fit for your unique business model. 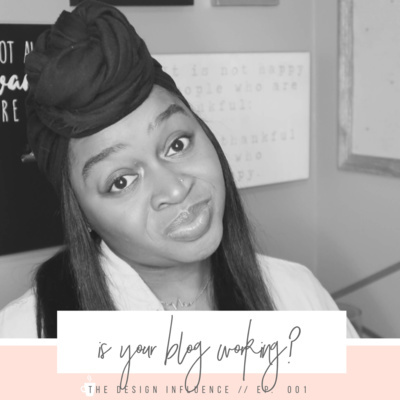 If you create any kind of content — blogging, social media, video, email, podcast — then there’s a world of ways to monetize “passively” but two very popular ways involve brands that aren’t your own — sponsored content & affiliate marketing. What are the differences between the two & how (if at all) they may make sense for your business? — TODAY’S EPISODE IS BROUGHT TO YOU BY GATHER. A sentiment I’ve heard shared across lots of designers — online designers and even some new designers — is that major industry events aren’t for them; so on today’s "minisode” I’m gonna dig into what it’s like as an online designer & creator going to industry events. And I want to you keep an open mind and think about how you can apply what I’m saying to ANY industry event you attend in the future. I’ve seen this debate brought up OFTEN during my time as an e-designer, and I know personally it is something I’ve always wondered about myself — when it comes to specifying product as an online designer, do I do trade, retail, or both? If no one’s said it to you before then let me be the first — e-designers do not only source retail. At the very least, they don’t have to. It comes down to your business model — how you’re trying to make money & what fits the way you operate. The decision of how & where to source is a personal one, so while I’m going to break down some of the pros & cons so that you can make an informed decision when deciding which is the best fit for you. — Today’s episode is brought to you by Gather. I have quickly learned that being busy isn’t, or at least shouldn’t be, a badge of honor because I quickly went from juggling to burnt out & drowning. The idea of multitasking became more like an addiction, and like most addictions, it wasn’t long before I saw how bad it really was for me — I wasn’t actually getting that much done & it was more detrimental than it was helpful. So what do I instead? I have spent the past YEAR — yes, year! — training myself on how to “single-task” and more importantly, how to quiet anything that tries to pull my focus on the task at hand. While I haven’t perfected this new lifestyle by any stretch of the imagination — hello, I’m still a mom! — I have picked up some pretty useful hacks & habits, and that’s what I want to dive into today. I want to share with you some of my single-tasking tricks & how they’ve helped me step up my productivity. Mentioned Techniques: • Thought Purging • Prioritizing & Planning • Batching & Single Tasking Mentioned Tools: • Trello from brain dumping and big picture, macro planning • Powersheets for intentional & thoughtful goal planning from month to month & week to week. • Undated Weekly Planner Pad for appointments & scheduling week to week • Tomato One Pomodoro Timer App for more efficient time management & batching. TODAY’S EPISODE IS BROUGHT TO YOU BY GATHER.